The fuel rail ports are tapped for 8AN ORB. 8AN ORB Adapter Fittings can be found HERE. 8AN ORB Direct Mount Regulators can be found HERE. 8AN ORB Fuel Pulse Dampers can be found HERE. Fuel Pressure Gauge Adapters can be found HERE. Appropriate fittings must be selected based on the specific application. Ample space around the fuel rail port(s) is necessary for larger accessories such as fuel pressure regulators, fuel pressure gauges, and fuel pulse dampers. To verify clearance, the dimensional drawings on the product pages can be used as a reference guide. 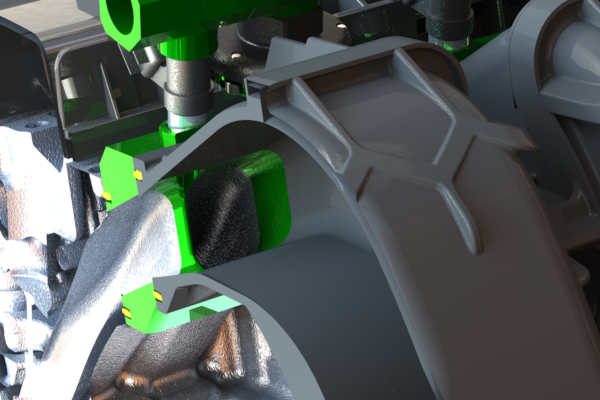 The angled air flow passages through the PIK adapter plate (shown in green) are CAD matched to the intake ports and manifold to minimize any impact to air flow through the ports. 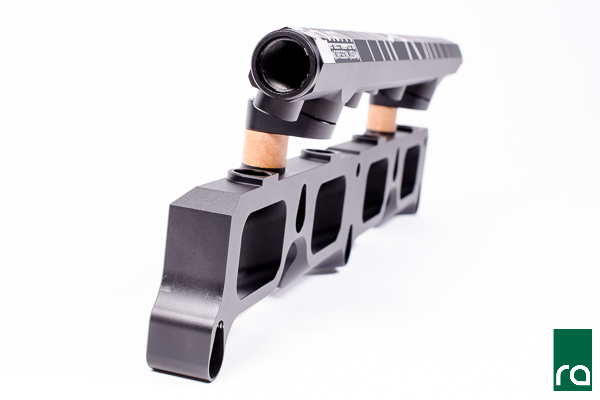 The fuel rail features a large 0.69" internal diameter bore. 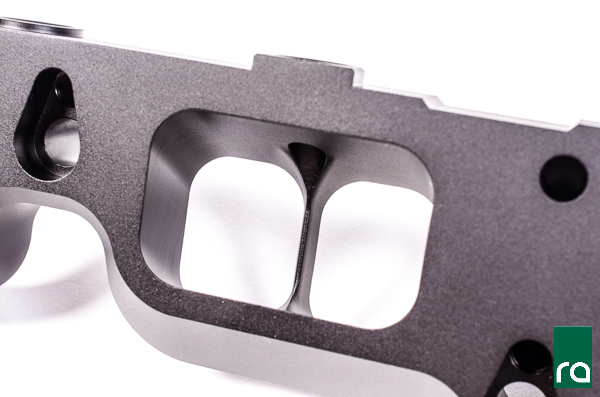 It is CNC machined from extruded 6063 aluminum and laser etched for a high quality surface finish. 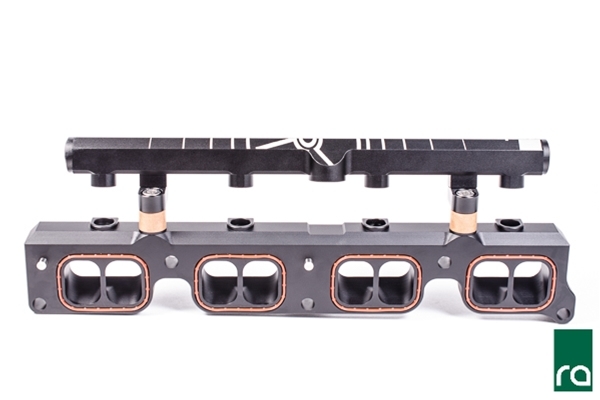 All 3 ports (ends and center) are machined with an 8AN ORB (3/4-16 female) port. For a list of 8AN ORB adapter fittings, go HERE. 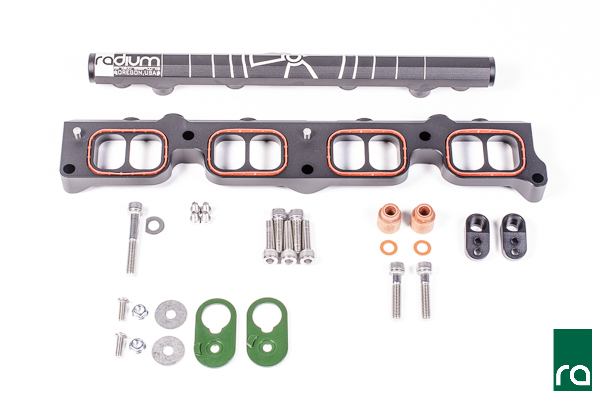 Machined phenolic mounting spacers and washers are included to completely isolate fuel created by the cylinder head and transferred through the mounting bolts. The injectors are at a max angle to ensure proper spray into the ports. 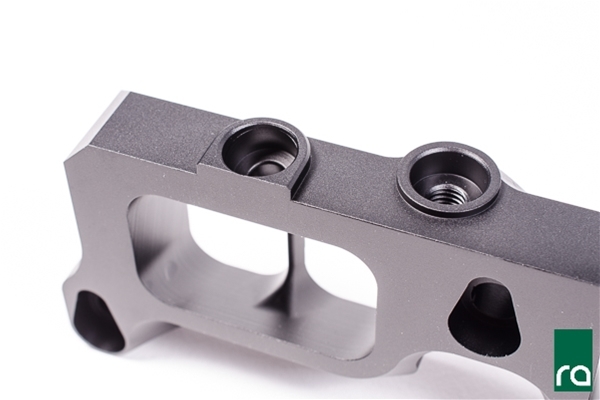 Special CNC machined aluminum adapter brackets (shown below) are included to relocate the mounting grommets. 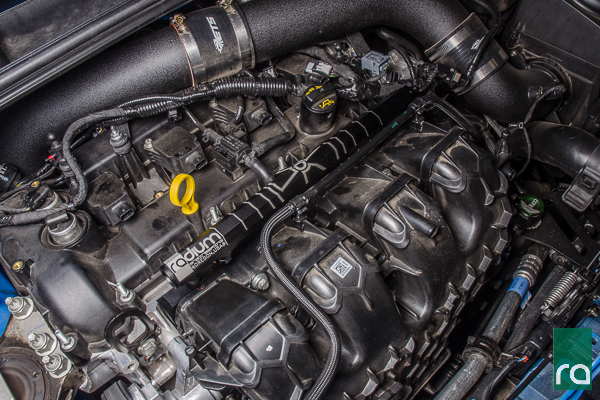 This allows the OEM Ford Focus Engine Covers (ONLY) to be reused for a stealth appearance.